to take part on Sunday 4th August in north wales ?? 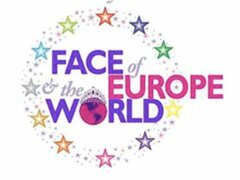 One girl from each group will win a trip of a lifetime to Disneyland Paris to compete in the finals of the Face of Europe and the World pageant. Along the way you will make amazing memories and meet people who will become friends for life. This really is an amazing opportunity so don’t delay, become part of the FOEW family today! Face of wales final we will be crowning four new queens they will each win a trip to disneyland to compete in the international finals! !